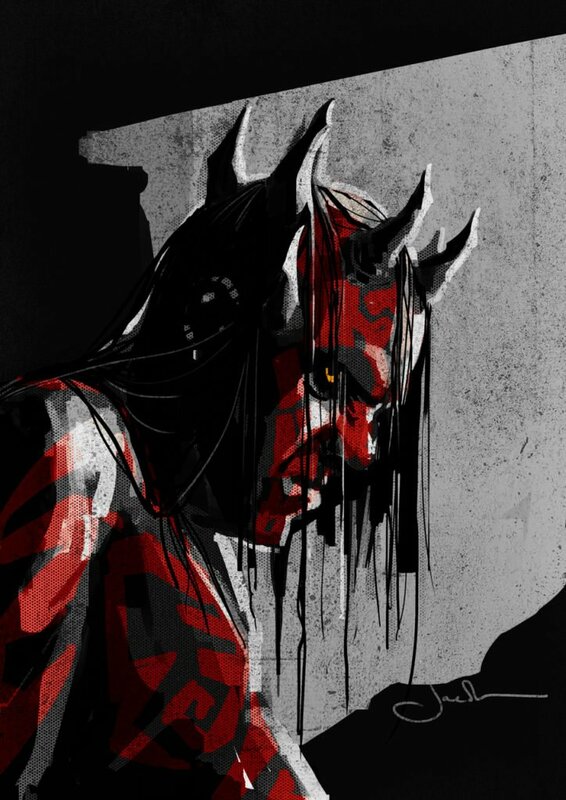 Solo: A Star Wars Story has just been released on Digital HD, with the Blu-ray and DVD out this week. 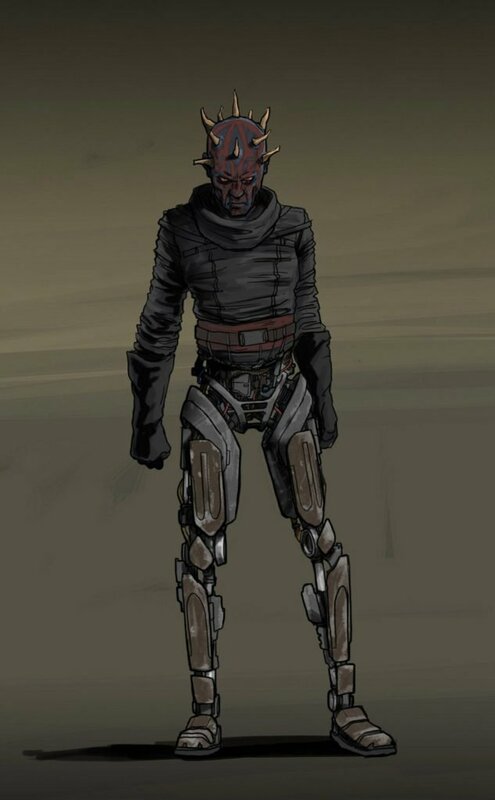 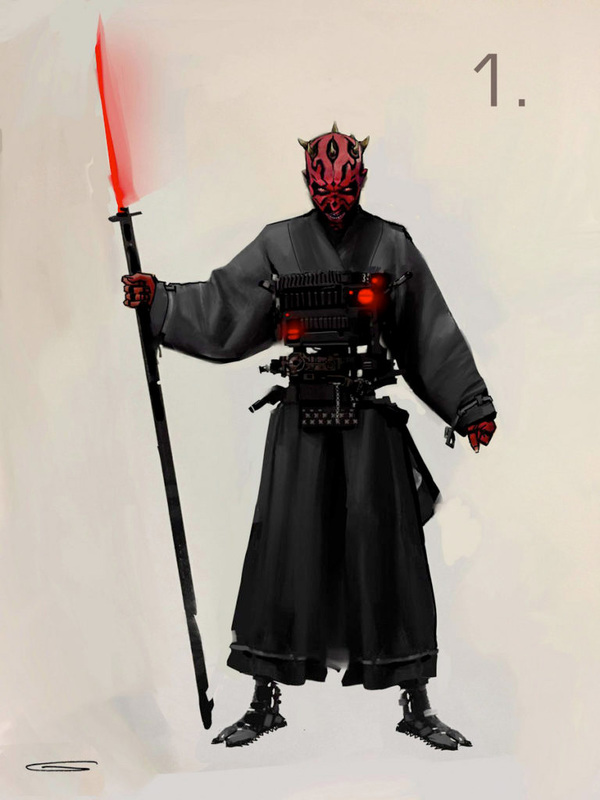 Of course, this has led to a burst of behind the scenes concept art and photographs from the film trickling out, the most interesting being a better look at iconic Phantom Menace villain Darth Maul, whose surprise return shocked (and in many cases confused) audiences. 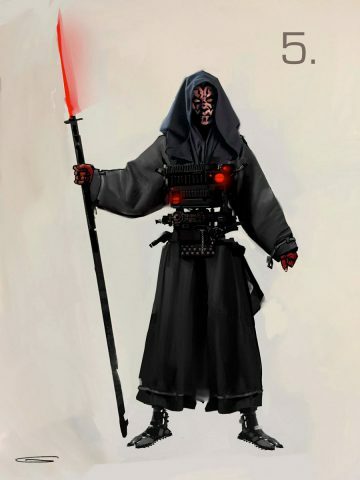 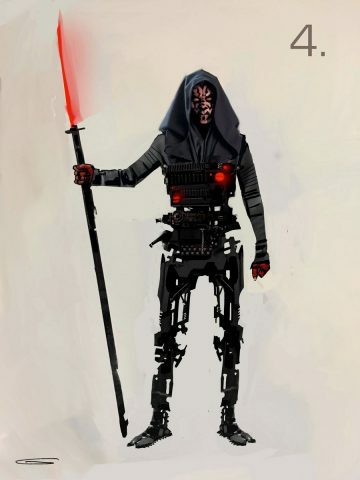 While it’s a little strange that none of these pieces of art grant Maul his famous double lightsaber (going instead with some kind of glowing spear thing that might not even be a lightsaber), they do give us some interesting insights into the way he could have looked. 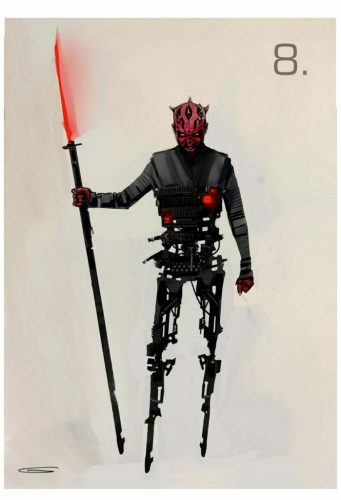 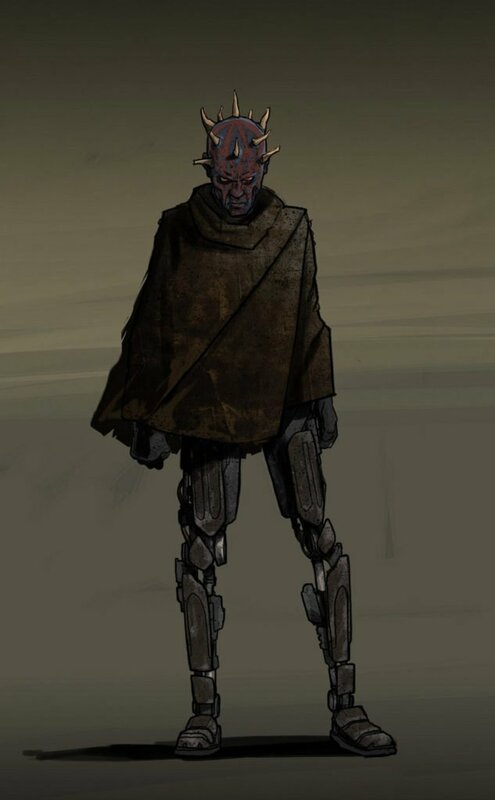 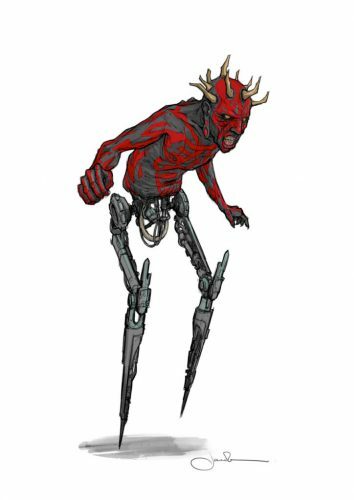 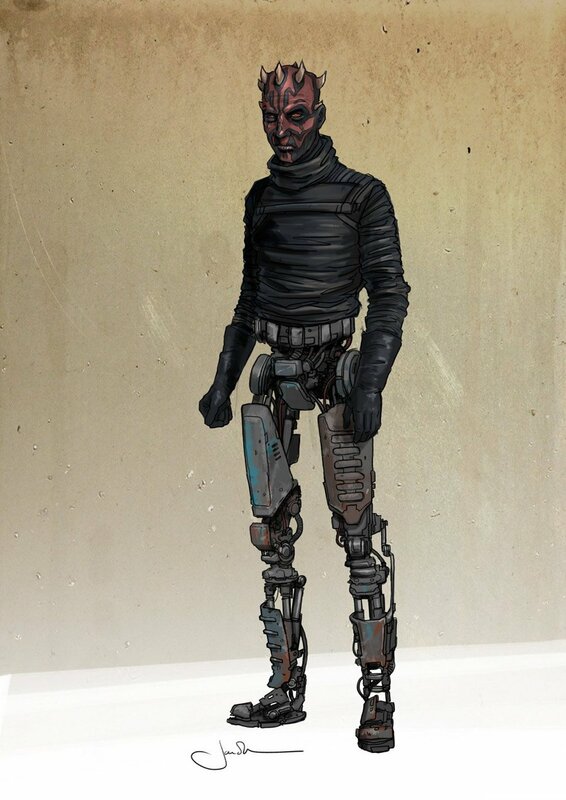 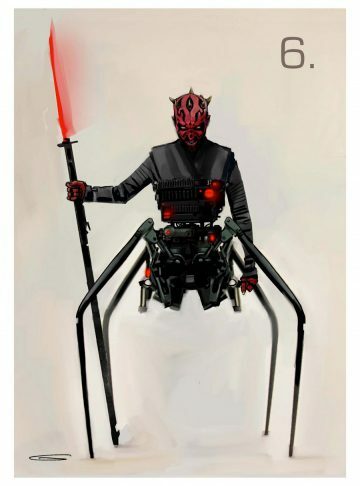 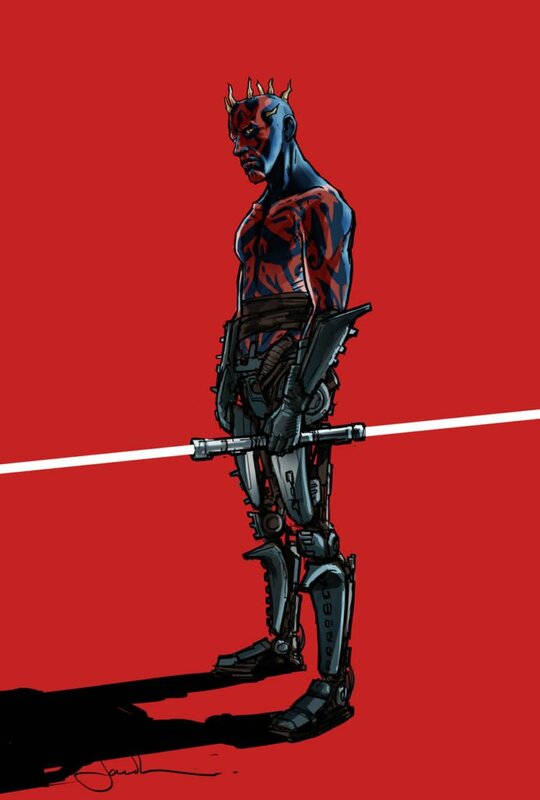 Common throughout them is a similar aesthetic to an Imperial Probe Droid, making it seem like Maul might have had to build his lower half out of whatever scraps he could find on the bottom of Naboo. 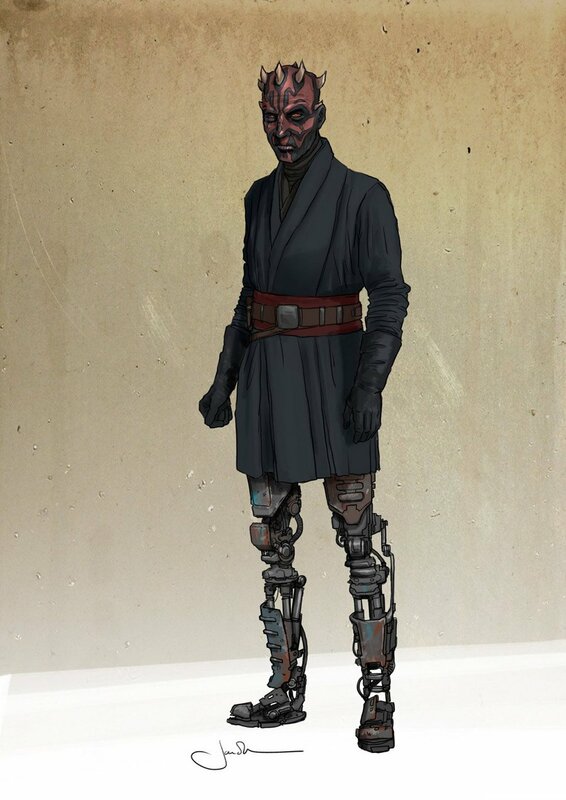 Of course, in the end, we didn’t get a good look at his legs at all in the movie as he was sat in a chair and appeared via hologram, but it’s nice to know such thought went into it anyway. 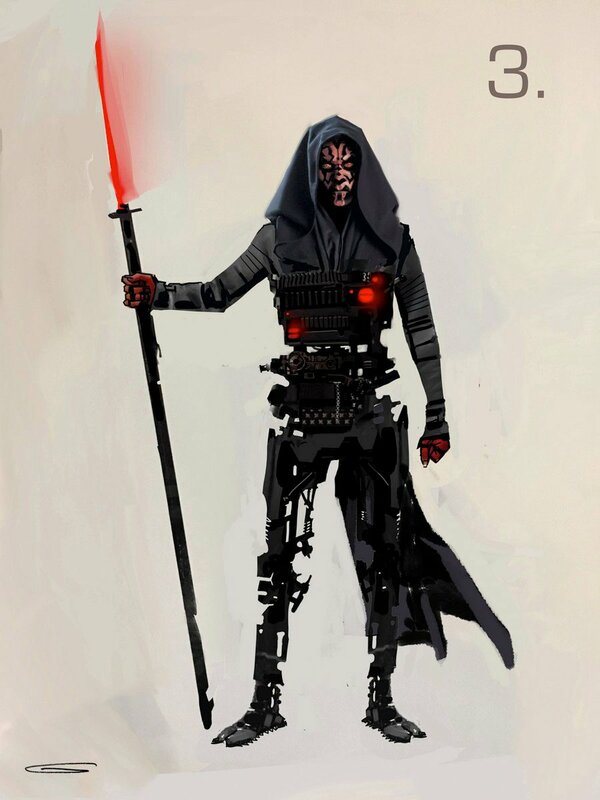 “It was a really cool thing to work on. 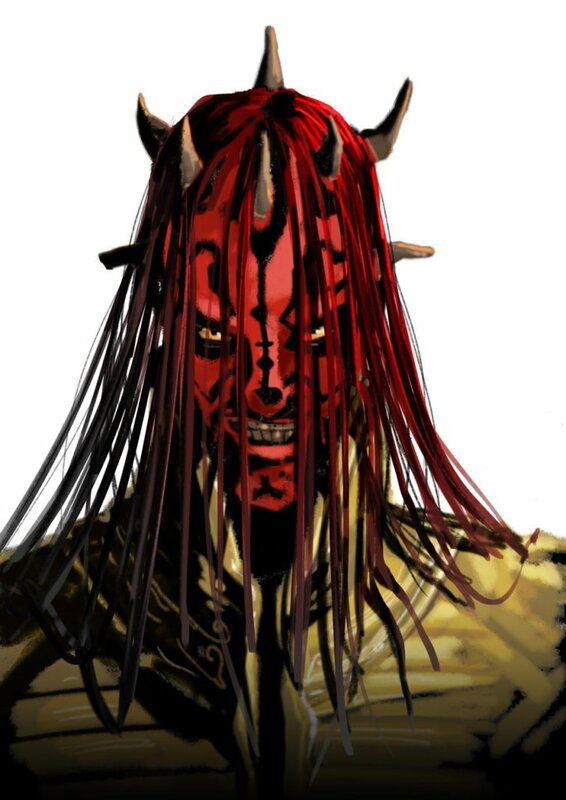 The time difference between when you’d last seen him and now…and obviously we’re bringing back Ray Park! 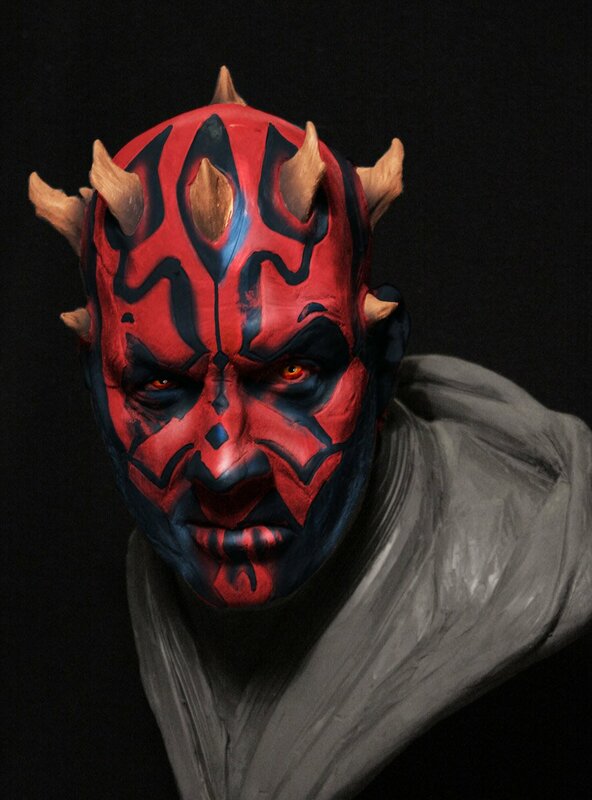 It gave us the opportunity to look at what we could do with the makeup and the styling of him, to see if we could add a little bit of an edge to him because he’s become who he is, because he’s older, and also because the techniques of makeup application have developed since they did it the first time around. 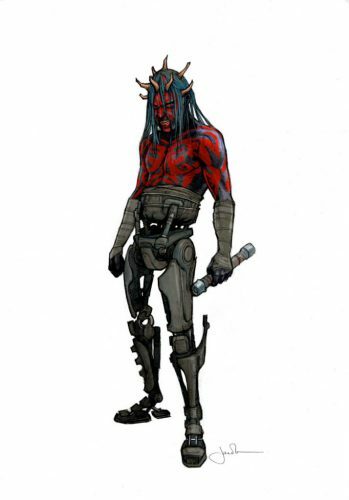 After all that thought went into Maul, it’s a little disappointing that all he did was sit in a chair and not do very much. 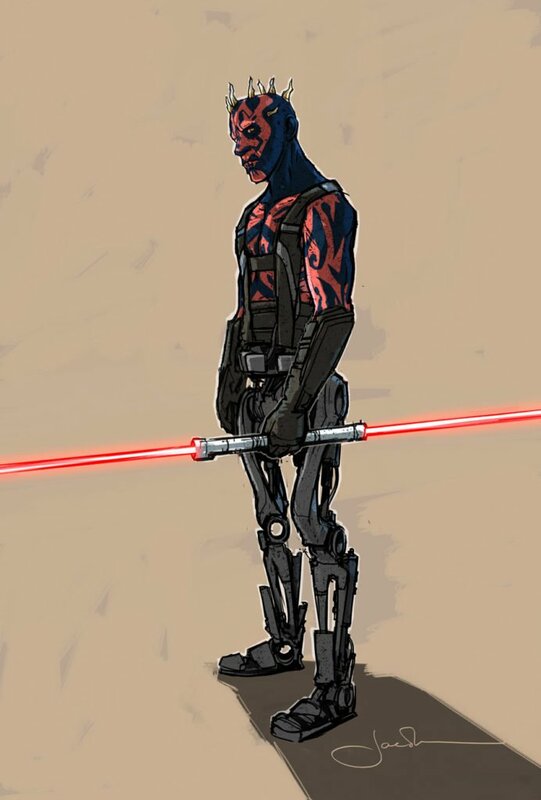 An interview with Ray Park did hint that there may’ve been plans for an action sequence involving the character at some point, and though it’s unlikely we’re going to see a sequel to Solo: A Star Wars Story anytime soon, perhaps he could pop in an Obi-Wan movie for a bit more of a dynamic role?